CTR is a relic from the early days of digital advertising, says Tim Elkington, Chief Digital Officer, IAB UK. It’s time to use metrics appropriate to a mature market. Historically, the biggest concern of the digital ad industry – and the IAB alongside it – has been growth. But, with £11.55bn spent on digital marketing in the UK alone during 2017, it’s pretty undeniable that this is a mature market, and growth no longer needs to be our primary focus. Instead we should look ahead, and tackle the issues that affect the long-term health of this industry. Issues like the way digital advertising is measured. Measurement is a complex challenge, because it can mean so many things – you might be trying to measure audience, exposure, business outcomes or any number of other markers of success – and because there are so many methodologies available to the digital marketer today. 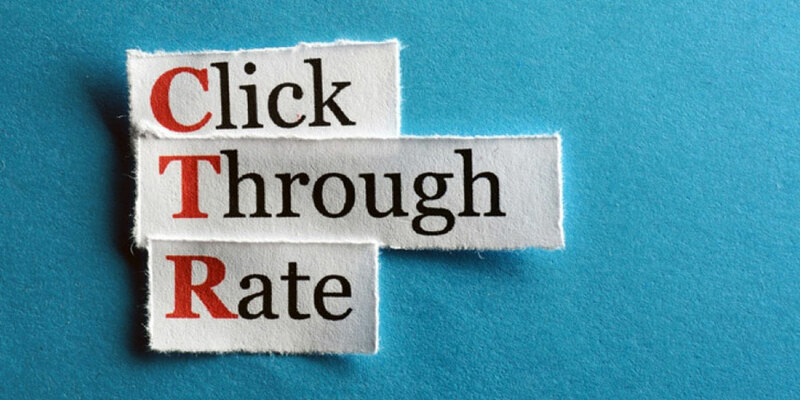 But we think there is one particular problem that can be tackled fairly simply: the industry’s over-reliance on click-through rates. CTR is a relic of those early days of growth and laying foundations, and making it the central focus of reporting can be misleading and put too much emphasis on short-term success. So, with that in mind, here are four alternative techniques for measuring digital advertising that provide a bigger-picture view, and better place it in the context of the other media it’s likely to be working alongside. Brand studies are a collection of tools, but most commonly based on consumer surveys, used to measure brand metrics across the life of a campaign. They measure shifts in awareness, familiarity, favourability, consideration and intent before and after a campaign, to indicate the level of ‘brand lift’. Brand studies are incredibly flexible, able to cover any part of a campaign, from creative to placement. But their biggest benefit is adding a dimension of ‘why’ to the ‘what’ of your media measurement. Not just whether sales grow, but what about the campaign caused that growth, whether it’s an increase in awareness or people thinking more favourably about the brand. Econometrics are statistical tools, used to quantify the relationship between cause and effect in economic data. When applied to marketing, this is known as Marketing Mix Modelling. These models predict how advertising activity, as well as external factors – like changes in weather – translate into incremental sales. It’s a great way of getting a top-own view of how the impact that marketing and communications activities have on sales, over periods of months or even years, in order to truly understand the ROI of your spend. Attribution modelling also uses statistical models, to evaluate how different touchpoints contribute to a sale or action. Was it seeing the initial TV ad that drove a customer to buy your product, or was it being retargeted with that message on mobile? To answer that question, channels are assigned credit based on their level of involvement. You can quickly build a picture of what each channel contributed, providing immediately actionable insights on where to allocate spend going forward. Controlled experiments are essentially the classic scientific method as applied to marketing. Take a clear, testable hypothesis – for example, paid social media will cause a 1% lift in search referrals – then divide your subjects into a test group, who see the ad, and a control, who don’t, then observe the impact over a defined period of time. This method can be applied to any campaign or KPI, and represents the most effective way to validate existing marketing activities and fill gaps in knowledge, particularly across high-volume digital channels. Controlled experiments work best when treated as part of an ongoing process of improvement, rather than as a one-off tool. All four of these methodologies have huge advantages over CTR but they do, of course, have their own limitations. For example, brand studies do not measure direct consumer actions like sales, while Marketing Mix Modelling is great for understanding the bigger picture, but not so much the underlying causes. It’s all about deploying whichever methodology is right for your campaign and objectives. Or, more to the point, which methodologies – plural. When used together, one technique can help fill gaps left by another, or add an extra dimension to findings. Finding the right mix will depend on factors like the length and complexity of the product sales cycle, the balance of online/offline media spend, and the use of non-media based promotional tools. This is why we’re so keen to reduce the emphasis on CTR. As a metric, it doesn’t necessarily reflect the realities of modern digital marketing – but more importantly, it’s just one signal, which can never hope to show the full, complex picture of awareness, consideration and purchase all on its own.